PIZZA NEVER BETRAYS! PIZZA IS TRUE LOVE!! LOVE IT, WEAR IT!! And of course there's no better PIZZA wear than one made by my favourite Harajuku brand of all time - Candy Stripper!! I was just tidying up my wardrobe and realised half my stuff are from there. They do pop designs and I wear them to work most of the time, even when my job is of a more "solemn" nature. Do check out their "CANDY BURGER" A/W collection! Yummy! And oh. PIZZA = ADVENTURE TIME = WE'RE FWAHAHAHAHAH FINN & JAKE! 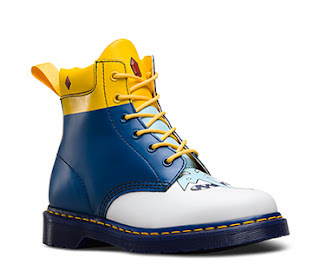 Therefore, PIZZA x FINN JAKE DR MARTEN'S BOOTS! These 1st season mathematical Adventure Time Castel boots (released/bought 2015) are different from what I have so far. They're of canvas and slightly lighter. Dr Marten's has recently released final series, and personally, Ice King is Nice King. Remember those accessories from my previous post? Yep they back because they dynamic. 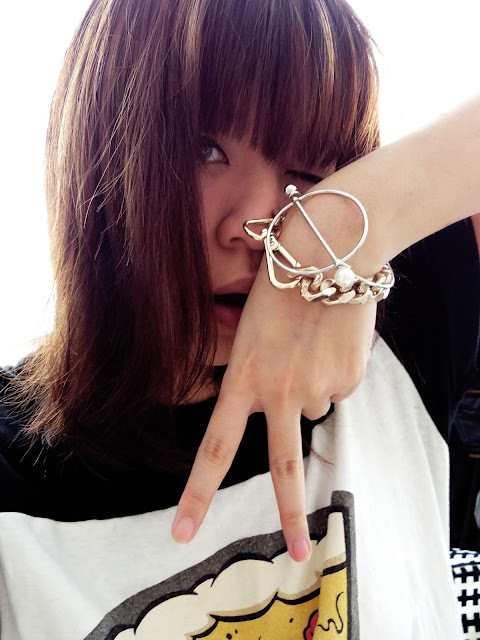 [TOP] Bornprettystore's "Geometry Pearl" bracelet "- living up to the usability x cost performance of Bornprettystore's items, suitable for pop/mode as you have seen from this and the previous post. No complicated details required - just 2 metal loops and a pearl. Perhaps let me be able to open a little more it when I put it on? Because now, it seems like people with wider wrists might need to wear it with a little struggle. Otherwise, this item is niiiiiice. OKAAYYYYY going to grab some lunch now. Maybe PIZZA! The shirt makes me hungy!